Rep. Paul Ryan came to Congress as a 28-year-old policy wonk who had already established his chops in Washington, D.C. Working as a speechwriter for the late Rep. Jack Kemp and serving as a legislative director on Capitol Hill gave Ryan a perspective on the policy battles that play out in the nation’s capital. Over the course of his 16 years in the House, he led the Budget Committee and currently serves as chairman of the Ways and Means Committee. He was also tapped to be Mitt Romney’s running mate in 2012. During his time in Congress, he’s accumulated a lifetime average of 63 percent on the Heritage Action scorecard and an 83 percent lifetime score from the Club for Growth. Now, as he considers a run for House speaker—a job he’ll only do if all factions of the GOP stand behind him—The Daily Signal takes a look at some of the key issues that have shaped Ryan’s career. 6) Gun Rights: Ryan has been a strong proponent of gun rights, voting numerous times against background checks and in favor of pro-gun legislation. A bow hunter, Ryan is also a member of the Congressional Sportsmen’s Caucus. 7) Health Care: Ryan has opposed Obamacare since its passage and recently helped spearhead partial repeal by means of the budgetary tool known as reconciliation. “You can’t fix a fundamentally broken law; you’ve got to replace it,” he wrote in USA Today. 8) International: Ryan wanted to lift the Cuban embargo before supporting it. 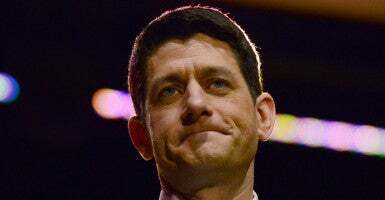 In 2002, he told the Milwaukee Journal Sentinel that “if we think engagement works well with China, well, it ought to work well with Cuba.” After “learning from friendships just how brutal the Castro regime is,” Ryan has changed his position, The New York Times reported. 9) Immigration: Ryan has supported immigration reform bills that included amnesty for millions of illegal immigrants. Last summer, he outlined a vision that included a pathway to citizenship, bolstered border security, and a fast-track to legal status for the children of illegal immigrants. “People say, ‘amnesty!’ No, it’s taking a problem that’s intractable, that’s been around forever, and trying to fix it in a way that as best guarantees as you can that we’re not going to be in the same [situation] 10 years from now,” he told Hillsdale College students, according to National Review. 10) Labor Unions: Ryan remains unwavering in his support of federally mandated, prevailing wages. Opposed by national labor groups like the AFL-CIO, Ryan has enjoyed the support of local Wisconsin unions for his backing of the Davis-Bacon Act. “He’s supported us on every Davis-Bacon vote that’s been held,” Wisconsin State Council of Carpenters Executive Director Mark Reihl told Mother Jones. 12) National Security: Ryan voted to go to war in both Afghanistan and Iraq, later opposing an early military withdrawal. “I believe that the continued engagement in Afghanistan is necessary, and demands careful consideration for the safety of both our armed forces and citizens,” he said in a statement. 13) School Choice: Ryan has supported increasing school choice options for families. “Sending your child to a great school should not be a privilege of the well-to-do,” Ryan said in a 2012 speech. “I believe that choice should be available to every parent in our country, wherever they live. Education reform is urgent, and freedom is the key.” In 2011, Ryan voted to reauthorize the D.C. Opportunity Scholarship Program, legislation that increased school choice opportunities for families inside the District of Columbia. 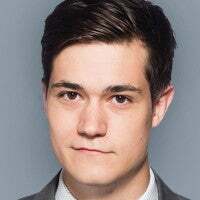 Philip Wegmann is a former reporter for The Daily Signal.